38.707574, -79.412123 are the GPS coordinates. 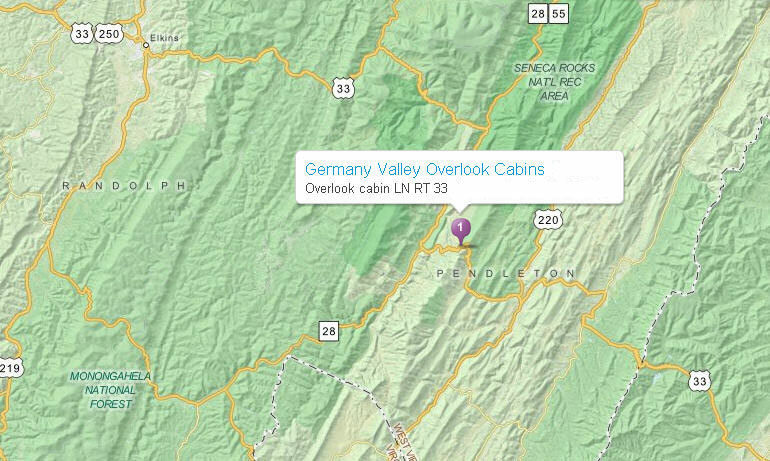 These GPS coordinates are at the entrance of Overlook Cabin LN where Cabin 1, 2 and 3 are located. The Lookout Cottage is located 1/4 mile east of Overlook Cabin LN on the left along RT 33. The address is 8540 Mountaineer DR. There is a sign and a reflective 911 address sign(8540). **Please note map quest and navigation systems do not work well in our area.